Douglas Fir Seed Favors – A Perfect Gift for the Holidays! According to one of our favorite reference sites, Wikipedia, the Christmas tree is a decorated evergreen coniferous tree, real or artificial, and a tradition associated with the celebration of Christmas. The tradition of decorating an evergreen tree at Christmas started in Livonia and Germany in the 16th century! Our modern day holiday celebrations have kept alive the tradition of decorating a fir tree which we normally buy at a store. Increasingly people are switching to growing their own fir tree which can be kept outside and perhaps decorated every year with outdoor lights and weatherproof ornaments. Some families have started planting a fir tree when a new baby arrives which is a fantastic idea as the tree will grow up with the child. 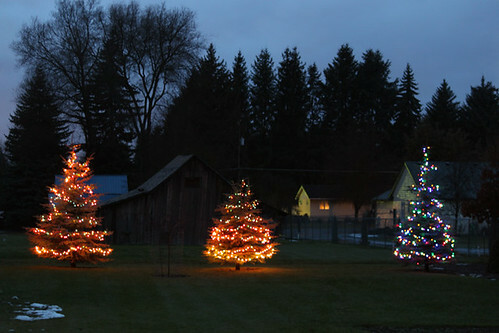 A neat family tradition could be to measure the growing fir tree each year and decorate it with home made ornaments. A long standing favorite among Christmas tree connoisseurs is the Douglas Fir. Douglas Fir trees are noted for their dense full bushy shape and fine soft green needles. They have a distinctive pine fragrance which is known to last through the entire holiday season, no need for expensive air fresheners! 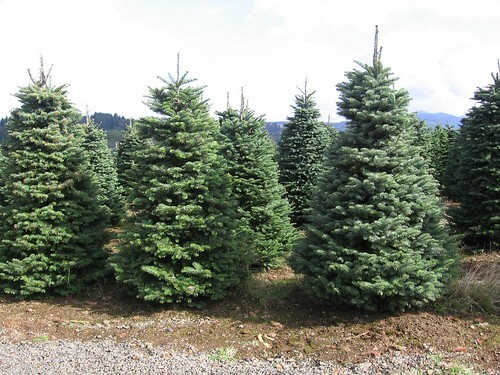 The Douglas Fir has the classic Christmas tree shape that is easily decorated, and because they have strong branches the Douglas Fir are able to support a large number of Christmas tree lights. If you like the sound of planting your own fir trees for the Holidays then we can help you start an exciting family tradition. We offer beautifully packaged tree seed favors which are perfect for stocking stuffers or gifts for loved ones. With winter fast approaching and colder weather creeping in we wanted to share our favorite winter neck warmers with our readers. 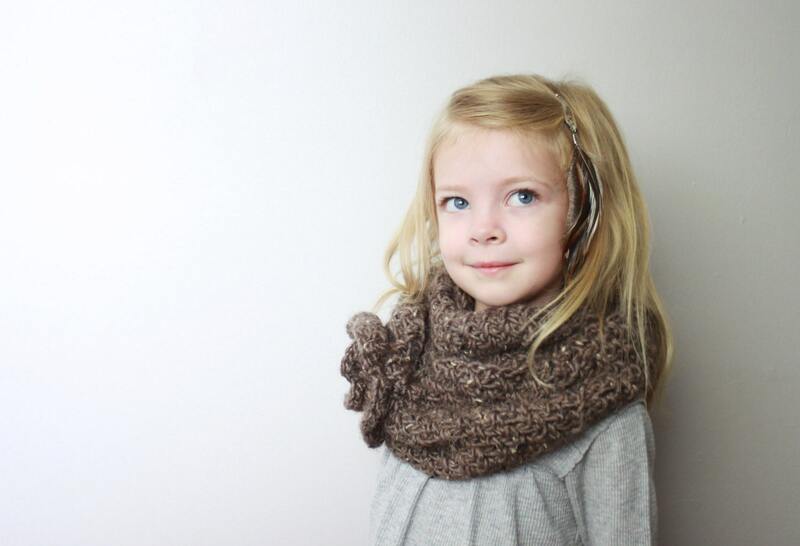 Another awesome find on Etsy was this beautiful childrens neck warmer which includes knitted flower accents. Yet another superb find on Etsy! 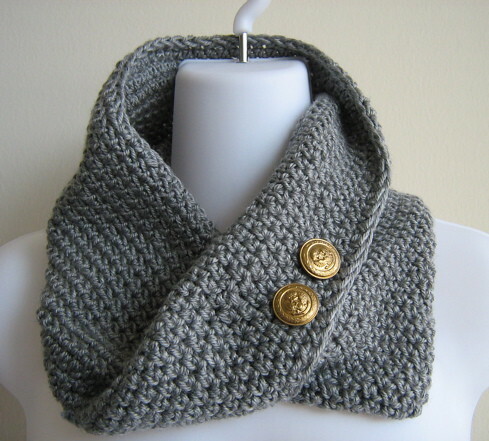 We loved this handmade crocheted Cowl neck warmer by Erin Hansen. 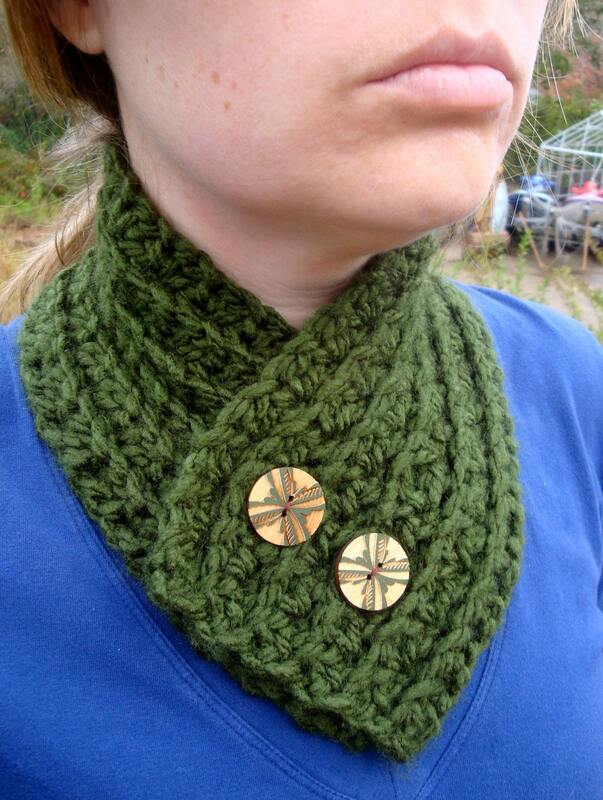 It is a wonderful moss green with some cute little buttons to add some style. 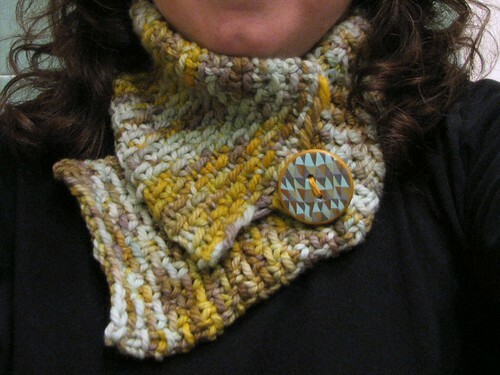 We found this beautiful neck warmer on Flickr and it was made using a knitters loom. Made from Malabrigo chunky wool we simply loved the look of this one, the artist Lisa Clarke also handmade the button of polymer clay, specifically to match! We thought this unique athletic sweater was awesome, another Flickr find, this one is designed by Lulu Lemon Athletica Wear and it is perfect for a winter workout! 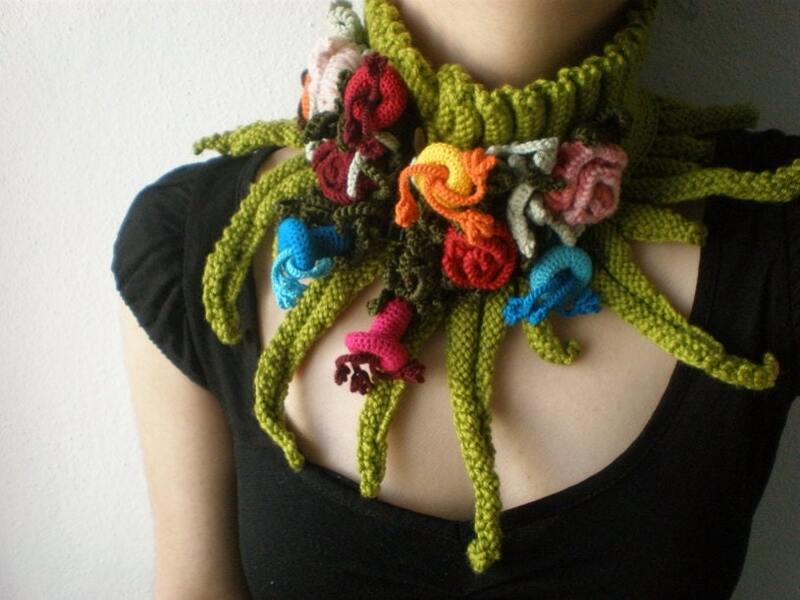 9/ Another Neck Warmer for Dudes! Sedie Maruska made this amazingly cool urban neck warmer, we loved the grey wool design with lots of details. 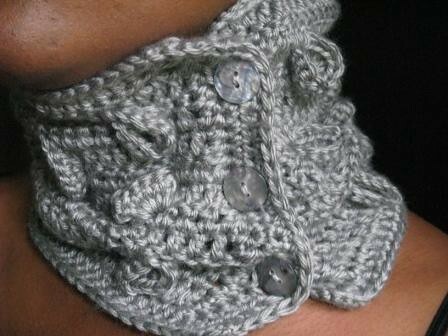 The three button design and intricate knitting make this creation stand out. 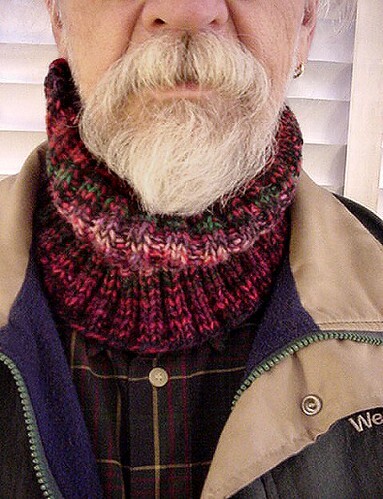 We hope you enjoyed our run down of the top ten neck warmers for winter 2011. Don’t forget to check out our groovy eco friendly neck massage warmers which use the heat of 7 secret types of grain to sooth and relax aching necks and muscles! Handmade Neck Warmers – The Thermal Power of Natural Seeds! With Winter fast approaching you might be feeling the effects of the cold weather with aching muscles and stiff necks? 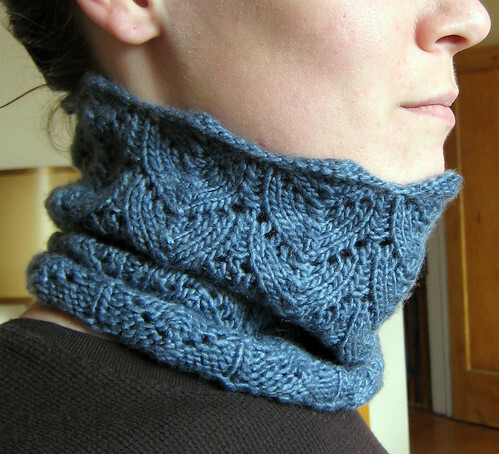 Did you ever wish there were handmade neck warmers available which were also eco friendly? We found an exciting product which are not just handmade neck warmers but they are also eco friendly and extremely effective at massaging out those aching muscles! Filled with a secret combination of seven different natural seeds which retain and release heat at the perfect rate to sooth stiff necks these eco friendly neck warmers are a must have item. They make perfect gifts for Christmas or birthdays and are especially good for people who value the environment. The secret combination of seven different seeds takes just 1 minute in the microwave to give 20 minutes of soothing natural neck warming, they are even available in two different relaxing scents, either fir or lavender. The relaxing heat of these “Seven Seed Thermal Wraps” release all of your tension and stress and can help for the relief of neck pain, headaches, back pain and muscle aches. The pillows are handmade with upholstery fabric and come in an assortment of colors. The pillows are packaged in a 100% recycled box and a card explaining the properties is attached with a raffia ribbon. The head / neck pillow is approximately 12 x 4” in size and fits perfectly into your purse or bag. They make wonderful gifts for friends, family, anyone who experiences headaches or injuries. They also make excellent hostess gifts or stocking stuffers. These pillows last for years and are a convenient and eco friendly heating pad to have in your home.